These covered boxes are great gifts for family and friends. These with Paper Mache boxes that are covered with fabric and then decorated with felt flowers. You will need at least one box which can usually be found at Michael's or online. 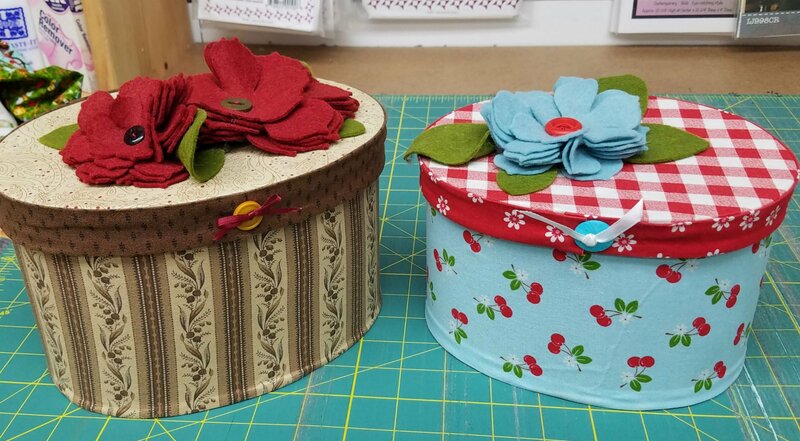 Fabric to cover the box with and felt pieces for decorating the top. Buttons and beads are a good addition for decorating with. If you are interested, please call the store for more information.